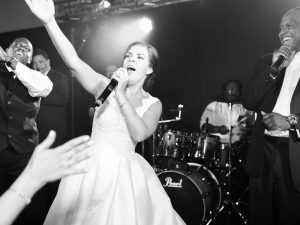 Eric B & Random Axis Band has performed 1000s of weddings for over 30 years, ensuring every one has an amazing time, from bride & groom to the last guest! 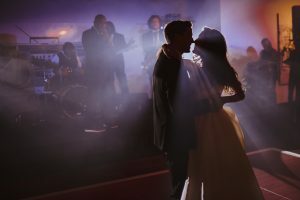 Random Axis is able to tailor their set lists for any client, beginning with cocktail hour through dinner and into the high energy dance sets to keep your guests on the dance floor! From the extremely diverse song list including contemporary hits by artists of today, to 80s rock and 70s disco to impressive performances of Motown hits, big band classics and jazz, we provide many genre options for your wedding. 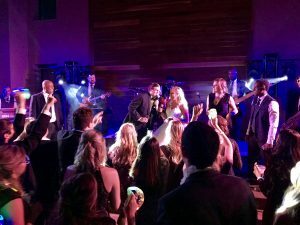 Eric & Random Axis take your wedding to the next level by interacting with the wedding party and guests throughout the event, and by providing a top notch production team to light up the night. Eric & Random Axis Band are dedicated to making your event a most memorable and stress-free time, so let us do the work and you just enjoy because your Forever Starts Now!